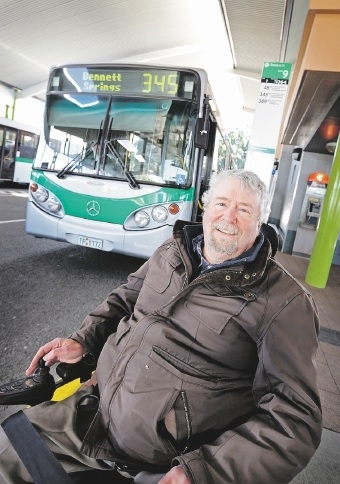 Mr Little, who has muscular dystrophy and uses an electric wheelchair, has advocated to have an accessible bus that deviates into Whiteman Park�s main tourist area from Lord Street since last year (�Tourist park out of reach�, Eastern Reporter, November 25, 2014). He said the current bus stop on Lord Street was about 1.7km from the main tourist village, disadvantaging people with prams and wheelchairs. Transperth spokesman David Hynes said as a result of community consultation, a six-month trial deviation into Whiteman Park would run as part of the 345 bus route. �The trial, which will involve an extension of the existing route into Whiteman Park, will run from September 7 on weekdays only,� he said. Mr Little said the 345 trial route that excluded weekends and public holidays was �dumb�. �I still favour the Bassendean to Ellenbrook deviation as it is more convenient to use the Midland line to Bassendean rather than going to Morley,� he said. �The main problem is they will be unable to have a reverse deviation for anyone in Ellenbrook wanting to go to the park. �Also, the bus will run empty back to Bennet Springs, then empty back to the park. Morley MLA Ian Britza said there was a courtesy bus from the entry into the park, but it did not cater for people with prams or mobility issues. Mr Britza agreed with Mr Little that the best outcome would be to start the journey by train from Perth station to Bassendean, catch the 955/956 bus to Ellenbrook, which would deviate the five minutes (maximum) into and out of Whiteman Park and then continue en route to Ellenbrook. �This would not be in peak time and therefore (there would) be minimal disruption to passengers travelling direct to Ellenbrook,� he said. Mr Hynes said while routes 955 and 956 operated near the park and provided a bus every 10 minutes in peak and every 15 minutes off-peak, community sentiment indicated there may be a need for a service that travelled through the park for passengers with reduced mobility. 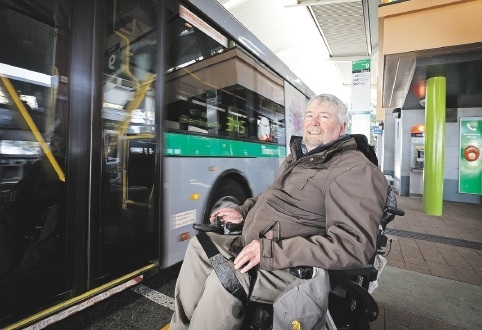 He said all buses used for the 345 route were wheelchair accessible and continuation of the trial beyond the six-month period would depend on patronage.